This week, portions of the PlayerUnknown’s Battlegrounds community whipped themselves into a tizzy over charts showing that the game’s active player base has been in decline since mid-January. This comes amidst a backdrop of growing dissatisfaction with the game. Sites like SteamDB and Steam Charts, which derive their numbers from publicly-available Steam data, show that PUBG has gone from steadily rising numbers of concurrent players since early last year to a pronounced decline this month. Yesterday, for example, both sites say the game drew an average of around 1.7 million concurrent players, down from the 2.5-3 million range it’s been pulling since November 2017. While the game has seen similar dips in numbers before, those lasted just a couple days. Yesterday’s lows come after nearly a month of slow decline, with the last week seeing a particularly pronounced drop. Then there’s the game’s Steam forum, which, these days, read like one long, uninterrupted rant about cheaters. 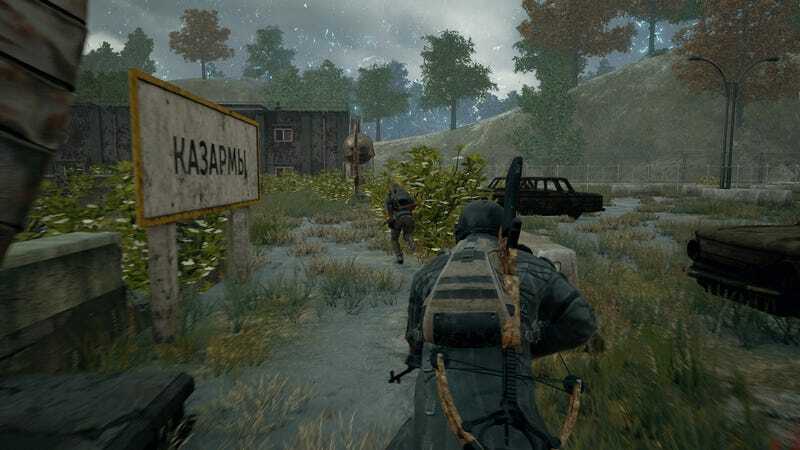 One of the first people to call attention to the player count drop, Bloomberg tech reporter Yuji Nakamura, also pinned the blame on PUBG Corp’s handling of cheaters, hackers, and ne’er-do-wells. To be sure, PUBG is still rough around the edges despite no longer being in early access, and the less-than-positive response to new map Miramar is likely contributing to the feeling that the game’s been buried under a thick layer of stale dust and tumbleweeds. Cheaters aren’t helping. On top of that, battle royale is a genre that eats its own—at least, if H1Z1's precipitous fall from grace is anything to go on. Fornite’s been crushing it lately, which puts PUBG in even more of an awkward spot. PUBG’s rockier-than-usual patch, though, is partially the result of priorities. The developers have spent the first part of this year focusing on the game’s perceived biggest problem, cheating, something players have been asking them to do for months. The developers banned over one million players in January alone—something that might be contributing to the decrease in overall player numbers—and have spent February implementing new anti-cheat tech. Only time will tell if all of that yields results, though. The devs have also said to expect a 2018 development roadmap soon, suggesting that an end to the drought of New Stuff might be nigh. The PUBG colossus is finally showing some vulnerability, but it hasn’t fallen down and exploded yet. It’s still the most-played game on Steam by a historically wide margin, having just hit 30 million copies sold, and while some players might be cooling on it, a down period is natural after the smoking-hot crate drop that was PUBG’s launch. It’s worth noting, too, that this isn’t the only sharp drop off the game’s experienced in the past few months. The player count briefly plummeted to similar places in mid-December and mid-January, too—only to recover shortly after. This decline has been more sustained, but it’s not too late to reverse course. Not yet, anyway.